I was getting pretty annoyed with the price of dried cranberries here. Also the fact that when I did find them at a reasonable price they seem to always have a “may contain nuts” sign on the package. So I decided to buy fresh and attempt to dry them myself. 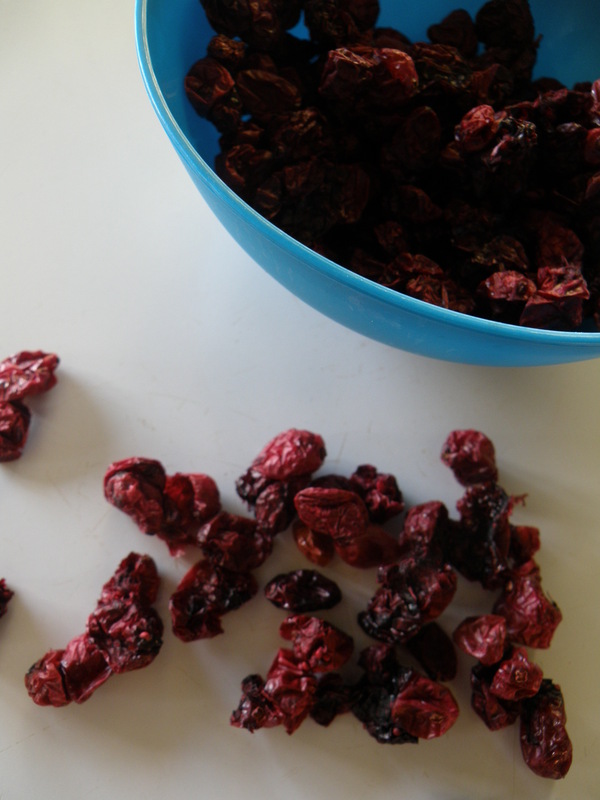 I used a 12 oz bag (about 340g) and that gave me 40g dried fruit. It is enough for my recipe but I would definitely make double next time. Preheat your oven to low , I had mine at 75 c /165 f.
Boil a large pan of water until boiling. Pour over the cranberries and wait for a few minutes until you start to hear the skins “popping”. 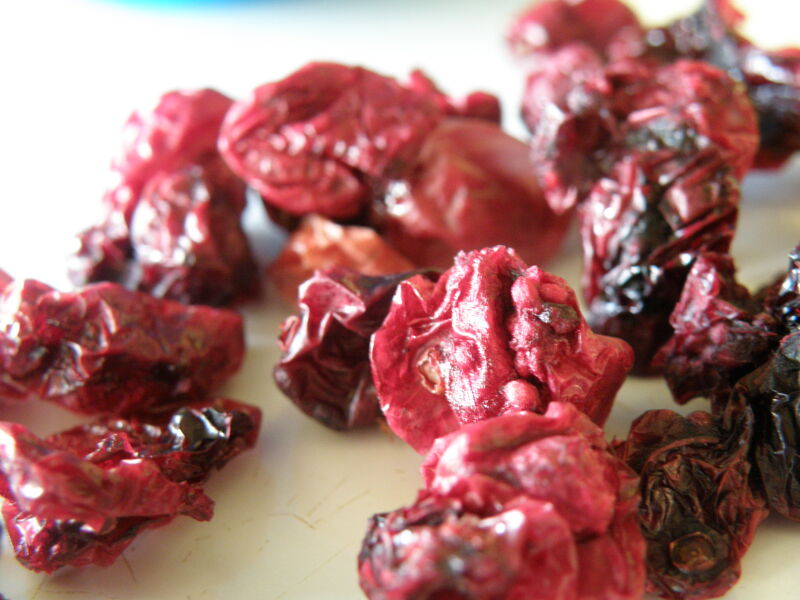 Drain the cranberries and spread onto kitchen paper or tea towel to dry off gently. Place onto a baking tray with grease-proof paper and gently squish the berries so all are popped and flattened a bit. Put in the centre of the oven. Check on the berries throughout the day occasionally changing the grease-proof paper and making sure to spread them out nicely (this should speed up the process). Just keep checking until you are satisfied with how dry your berries are, I think mine took about 6 to 8 hours in all. Use straight away or store in the freezer. Time consuming but easy. These will be going into my Christmas Pudding. Thanks for sharing this recipe! I love dried cranberries but all the ones here have hidden sunflower oil (not listed in ingredients but used in processing so they don’t stick together). I am in the process of drying a bag of cranberries in my oven. I prepped them by washing, cutting each berry in half, then drying for a while on a wire rack or screen in a 150 Degree oven..Since i wanted sugar free berries, I sprinkled some stevia on them. They are still in the oven and look great. Have my fingers crossed!